In Bloomingdale, Optimum Moving is the name you hear when you ask around for reliable relocation specialists. We have in the business for many years and are able to facilitate to a wide range of residential and commercial moving projects. Our highly professional staff members will take away the burden from your shoulders by guaranteeing an organized move. The borough of Bloomingdale is located in Passaic County, NJ. In 1918, it was incorporated as a borough; during the time when Pompton Township was split up into three new municipalities. Bloomingdale has a total area of nearly 9.2 square miles and it borders Riverdale and Butler (in Morris County); as well as West Milford Township, Wanaque, Ringwood, and Pompton Lakes (in Passaic County). 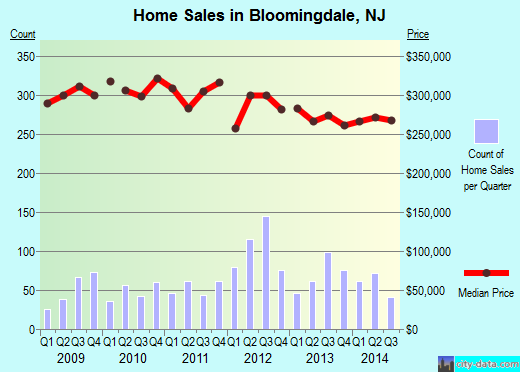 In Bloomingdale, NJ, the median price of the houses here is approximately $334,359. More than 1,000 homes in the borough feature three bedrooms. Around 65% of the 7,742 residents stay in this city for an average period of five years. Renters choose to live in their rented condos and houses for an average of two years, while house owners opt to stay here for a period of 14 years on average. At Optimum Moving, our commitment to providing stellar customer service is unmatchable. What’s more, our team of professional movers has undergone extensive training and is able to handle a great array of transportation requirements. We have the capability to move your belongings whilst ensuring the preservation of their original state; from the moment we start packing to the arrival of your belongings in your new location. Given our proven track record of providing reliable moving services in Bloomingdale, you can enjoy complete peace of mind when moving with us. Want to learn more about a Bloomingdale Move?